Volvo's second generation XC60 midsize SUV is a good value in an ocean of also good midsize, luxury SUV competition. It does everything well and looks great. Volvo announced the second-generation XC60 in March 2017, and it’s been in Volvo dealers’ lots since early fall 2017. The new XC60 is built on Volvo’s SPA platform, as are the XC90, V90, V90 Cross Country, and S90. While this is, technically speaking, a big change from the P3 platform used on the first generation XC60, the new model seems to be largely in keeping with its predecessor. Styling, size, price, and features hover near those of the first generation XC60. And why not? The XC60 is a successful recipe. If we didn’t know Volvo switched platforms, this would look more like a refresh and facelift than a new model. Like the first generation, the new XC60 will have the T5 and T6 engine badges, but they won’t reflect the number of cylinders. Neither will; this is a 2-liter, 4-cylinder engine, the same engine that powers every Volvo model in North America (the T5 and T6 refer to the power: turbocharged and turbo+supercharged, respectively). Both engines will be available in FWD or AWD. Other markets will almost certainly be getting diesel options, but in the US it’s unlikely that we’ll get anything other than gasoline. However, we do get the T8 hybrid “twin-engine” drivetrain, which is all the T6 is, plus electric hybrid. Close on the XC60’s heels is the new XC40, which is built on Volvo’s CMA platform – Compact Modular Architecture. The XC40, unlike this XC60, is available through Care by Volvo, which is marketingspeak for the latest paradigm in car ownership: subscriptions. The XC60 is noticeably, almost strangely absent as a Care by Volvo choice, those choices being XC40 and the new S60. If you’re not yet familiar with Volvo’s hybrid T8 setup, we explored it in detail in our XC90 review. And, unless Volvo makes some major changes to the way it works, we’re going to maintain our stance that the complicated system isn’t worth its cost unless you’re after blistering, sub-5-seconds-to-sixty acceleration. Actual fuel savings are minimal for most drivers, the price tag goes up significantly, and the complex nature of the T8 design means that long-term maintenance costs will almost certainly be much higher than on any of the other powertrain offerings. 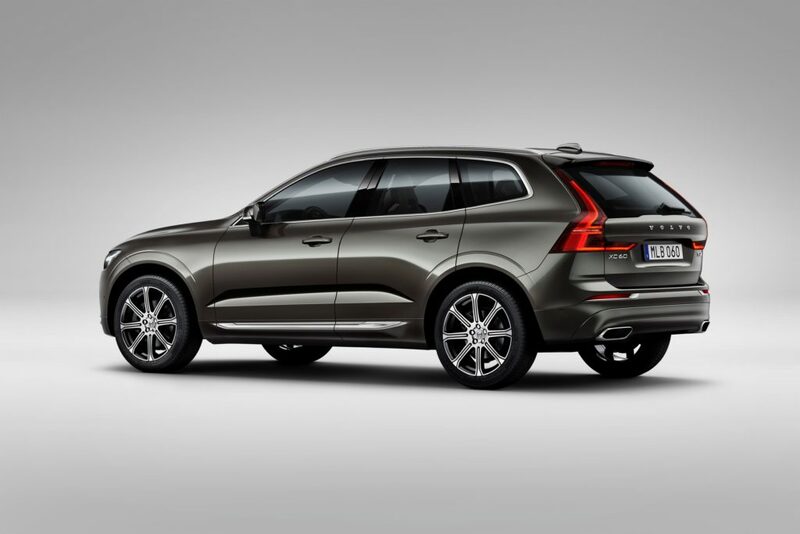 The outgoing, first-generation XC60 was available with the Dynamic, Inscription, and R-Design trim levels. The current XC60 drops Dynamic in favor of Inscription level, and retains Momentum and R-Design. The Inscription trim has proven a popular option checkbox across the Volvo lineup as the more luxurious option, so it’s been kept. The sporty R-Design trim may not seem to be an obvious choice on a midsize SUV, but its popularity in the past means Volvo opted to retain it. Americans want their SUVs in all flavors and sizes, and the irony of a taller, utility-oriented, offroad-rooted vehicle as the antithesis of sport is apparently lost on us. What remains to be seen is whether or not the Excellence trim is going to slot into the options list for the XC60. As Volvo’s highest tier trim, it at first blush seems unnecessary to offer it on the XC60 — an Excellence buyer would probably just spring for the XC90, per conventional wisdom. 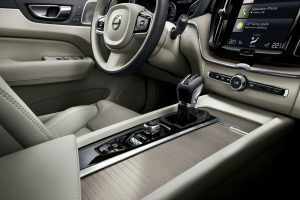 However Volvo may see fit to offer the XC60 T8 with the Excellence trim for customers who want maximum luxury appointments without the size of the XC90. If you’ve read any of our other recent articles on the new SPA-based Volvo models, you’re probably expecting the new XC60 to get perfect safety score from the IIHS. We’re expecting this too — but unfortunately safety data isn’t available yet. Considering Volvo’s reputation, the first generation XC60’s ratings, the standards set by other SPA models, and buyer expectations (and requirements), it seems unimaginable that the new XC60 wouldn’t receive top safety scores. Considering the first generation XC60’s ratings, it seems unimaginable that the new XC60 wouldn’t receive top safety scores. But, alas, we’ll need to wait for firm data to confirm that. What we do know is that the XC60 is getting all of the same safety tech we’ve seen in all of Volvo’s other recently-released models. Active safety gadgetry like lane-monitoring, adaptive speed control, and pilot assist will all be available. Volvo is even introducing a new safety feature on the XC60 — steering assist. Not only will this be used to allow semi-autonomous driving, it can respond to hazards and direct the vehicle around obstacles, such as an oncoming car entering your lane. Like everything else Volvo has released lately, the second-generation XC60 looks good and exudes a luxurious high-brow kind of confidence. The styling isn’t dramatically different than the old XC60, more evolution than revolution. Interior comforts match what we’ve grown used to from Volvo: comfortable, well-designed, and well-appointed. With the new XC60, Volvo is hitting the sweet spot of luxury without ostentation. Like its heftier sibling the XC90, the XC60 manages a design aesthetic that is more refined than extravagant — a trick German car makers might want to try in their increasingly silly arms race of oneupmanship. And the XC60 bears a strong resemblance to its big brother the XC90 (and for thousands less). Overall, the car appears a bit leaner and less upright than the XC90, but it retains that Volvo vibe, from its cool Thor’s Hammer headlights to a new take on the sinuous D-pillar taillights. Volvo’s lead designer has said the three series (40, 60, and 90) will be more differentiated from now on, but the family resemblance is still very clear. Big brother XC90 begins its song at $47,700, so there is a good deal of overlap, which triggers the age-old car-buying question: for the same money do you upsize, or apply luxury appointments to the given car? In the end, the XC60 MSRP is dead center of the competitive midsize luxury SUV market, and that’s just right. The XC60 is a hit. We estimated the final two 2018 months’ numbers to give you an idea of how much a success the second generation XC60 truly is. Granted, 2017 was a lame-duck/last model year of the outgoing first generation model, but +50%? Hello. This is a clear victory for the resurgent, Geely-owned Volvo. November and December 2018 are estimates based on prior years.